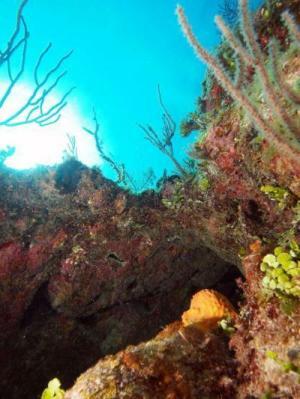 ScienceDaily (Feb. 26, 2011) — An international scientific team has shown that strong links between the corals reefs of the south China sea, West Pacific and Coral Triangle hold the key to preserving fish and marine resources in the Asia-Pacific region. Research by Dr Johnathan Kool of the ARC Centre of Excellence for Coral Reef Studies and James Cook University, and his colleagues, has established that the richest marine region on Earth — the Coral Triangle between Indonesia, Malaysia and the Philippines — depends vitally for its diversity and resilience on coral and fish larvae swept in from the South China Sea and Solomon Islands. “The currents go in various directions, but the prevailing direction is from east to west, and this carries coral spawn and fish larvae from areas such as round the Spratly Islands in the South China Sea and the Solomons/Papua New Guinea,” he explains. “Maintaining the network of links between reefs allowing larvae to flow between them and re-stock depleted areas, is key to saving coral ecosystems threatened by human pressure and climate change. “The Coral Triangle is home to more than one third of all the world’s coral reefs, including over 600 different species of reef-building coral and 3,000 species of reef fish. These coral ecosystems provide food and income for more than 100 million people working in marine based industries throughout the region,” Dr Kool explains. “Knowing where coral spawn comes from is vital to managing our reefs successfully. Even though coral reef communities may not be connected directly to one another, reefs on the edge of the Coral Triangle have the potential to contribute significant amounts of genetic diversity throughout the region,” says Dr Kool. He argues that recent evidence showing the region’s biology is closely inter-connected suggests it is in the interests of all Asia-Pacific littoral countries to work together more closely to protect it: “The science shows the region’s natural resources are closely interconnected. Nations need to co-operate to look after them — and that begins with recognising the resources are at risk and that collective action is needed to protect them. Six nations within the Coral Triangle, (Indonesia, the Philippines, Malaysia, Papua New Guinea, The Solomon Islands and Timor L’Este) are now working together to strengthen coral reef governance and management, under an arrangement known as the Coral Triangle Initiative. The paper “Connectivity and the development of population genetic structure in Indo-West Pacific coral reef communities” by Johnathan T. Kool, Claire B. Paris, Paul H. Barber and Robert K. Cowen appears in a recent issue of the journal Global Ecology and Biogeography. Posted on March 14, 2011, in Uncategorized. Bookmark the permalink. Leave a comment.